The Warren Business Association will be hosting an Open House on Tuesday, April 2, 2019, which will include networking, free coney dogs, and an opportunity to learn more about participating in this new business association. The Open House will be held from 5:30 PM to 7:00 PM at National Coney Island located at 30140 Van Dyke Ave., in Warren. The Warren Business Association (WBA) is an organization dedicated to helping people get connected with the resources they need to build a successful business. What sets them apart is that they are a local Warren-based association with an active schedule and low-cost dues structure. The WBA holds three networking events per month at various times of the day so that all business owners, salespeople, and other business representatives will have the opportunity to get involved. Many of the meetings will be held at various member businesses so that members will gain first-hand knowledge of how these businesses operate and the products and services they provide. Members will also benefit from receiving the Success Builders Weekly e-newsletter which will keep them up-to-date on upcoming activities and events, including those being held by other nearby Chambers and business associations. Future plans will be to provide business workshops, mastermind groups, community expos, and other activities as they continue to grow. Membership is open to anyone who is located in the city of Warren or surrounding areas. All those interested in attending this event should contact Mark Tremper at 586-350-8991 or visit the association's website at www.wbaconnects.com. The Warren Business Association can also be followed on Facebook, LinkedIn, or Twitter (@wbaconnects). The Warren Business Association will be holding an Open House on Tuesday, April 5, 2016, which will include networking, light refreshments, and an opportunity to learn more about participating in this new business association. The Open House will be held from 5:30 PM to 7:00 PM at Central Michigan University's Warren Center located at 28241 Mound Rd., Suite C, in Warren. 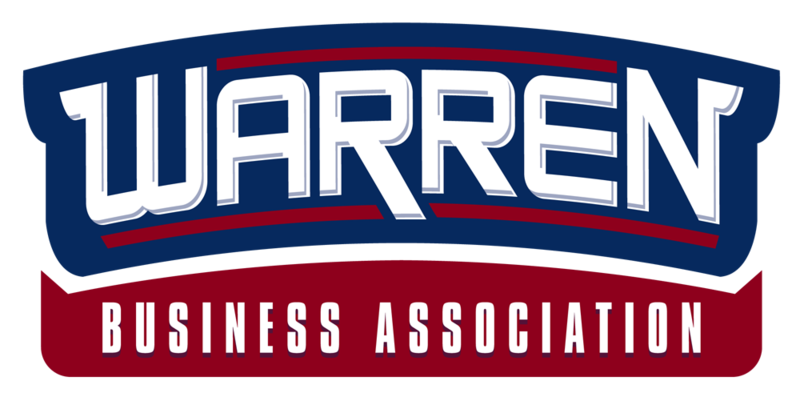 The Warren Business Association (WBA) is an organization dedicated to helping people get connected with the resources they need to build a successful business. What sets them apart is that they are a local Warren-based association with an active schedule and low-cost dues structure. The WBA holds three networking events per month at various times of the day so that all business owners, salespeople, and other business representatives will have the opportunity to get involved. Meetings will be held at various member businesses so that members will gain first-hand knowledge of how these businesses operate and the products and services they provide. If you own a business in Warren or want to do business here, Mark Tremper wants to meet you. Tremper, who works as the vice president of marketing for a credit union across town and runs his own marketing consulting group in Warren, said his involvement in other chambers of commerce and business associations led him to the realization that his hometown lacked an organization for its own business community. He said that really hit home when Forbes magazine named the Warren area to its list of “Best Places for Businesses and Careers” last year. He’s hoping to a build synergy and cohesiveness among Warren businesses as director of the new Warren Business Association. Tremper said the association started holding introductory meetings in October, began accepting memberships in January and will hold an open house at the home of one of its new members, Central Michigan University’s Warren Center, on April 5. The small but growing list of members includes Galeana’s Van Dyke Dodge/Ram, a fixture on Van Dyke since 1974. 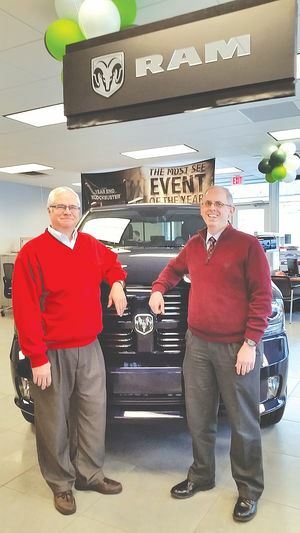 Dennis Christina, the dealership’s commercial/fleet sales manager, said people looking for new vehicles for their businesses don’t usually walk onto the lot to shop. He said meetings like those hosted by the Warren Business Association are good places to meet and network with other business representatives — people who may either buy products or refer other customers who will. “Business owners know business owners,” Christina said. “They might know someone they can refer to, and they have. It’s a big help. “The friendships, the relationships grow businesses,” Christina said. Warren Parks and Recreation Director Henry Bowman, another member of the association, said spending time building relationships pays off professionally if your job depends on networking with businesses and other groups in the community. “The networking groups have a lot of value because it’s building relationships with other community businesses, and relationships are how business is sold,” Bowman said. “I think these one-on-one relationships, where you can call somebody up and you can develop this relationship with someone, not only do you know somebody better, but you know someone you actually trust. “That’s the No. 1 thing: building these relationships with people you can trust,” Bowman said. Tremper said the group holds three meetings each month: an early breakfast meeting, one at lunchtime and one in the evening, to accommodate the schedule of anyone wishing to attend. Memberships in the Warren Business Association range from $180 for an individual to $200 for a corporate membership. The group emails a newsletter to members each week to keep everyone in the loop about what the association is doing, and about what’s going on in the surrounding regional associations and chambers. “Not that we’re competing with them. A big part of what we’re doing is that we want to work in partnership with these chambers and groups,” Tremper said. The Warren Business Association’s open house will be held from 5:30 to 7 p.m. April 5 at the Central Michigan University Warren Center, located at 28241 Mound Road, Suite C.
For more information, call (248) 795-5424 or visit www.wbaconnects.com. The Warren Business Association held its first meeting on Tuesday Evening, October 6th, at the Community Choice Credit Union in Warren with a variety of businesses in attendance. 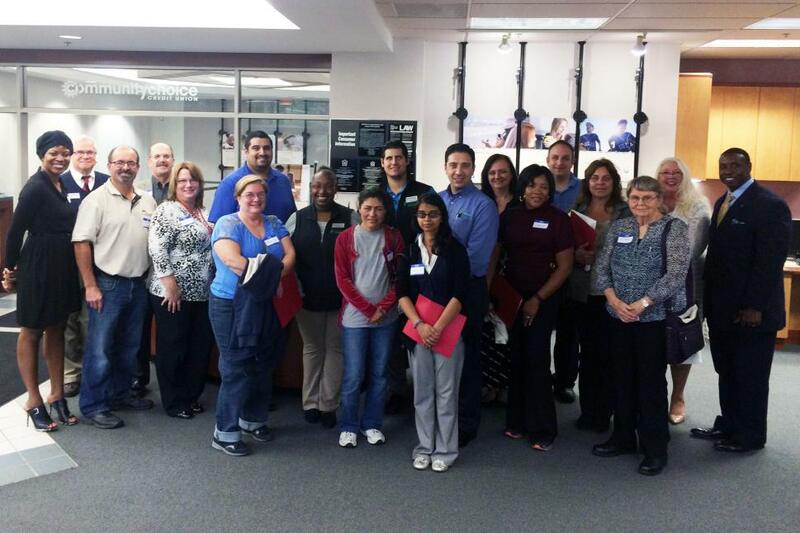 WARREN, Mich. - Oct. 12, 2015 - PRLog -- On Tuesday, October 6, the Warren Business Association held its kick-off meeting at the Community Choice Credit Union at 7415 Chicago Rd. in Warren. There were a variety of businesses represented for this event introducing the new organization. Attendees had the opportunity to network with other business professionals, enjoy refreshments provided by the credit union, and to give an “elevator speech” to let everyone know about their business. Glenn McIntosh, a human performance expert and Author of “It’s Time To Bring You’re a Game”, gave an inspirational presentation encouraging the attendees to utilize the new organization to surround themselves with people who will have a positive influence on their efforts to achieve their goals and dreams. Glenn McIntosh holds a number of bodybuilding titles including Mr. Michigan and Mr. Ironman, and is also the Vice President for Student Affairs at Oakland University. The Warren Business Association was started with the support of various local businesses in the city and led by Mark Tremper, a Warren resident. Mark has been involved in many different types of business associations and chambers of commerce and saw the need for this type of organization in Warren. Plans were announced for the Warren Business Association to be an active group with three meetings per month at various times of the day so that all business owners, salespeople, and other business representatives will have the opportunity to get involved. Meetings will be held at various member businesses so that members will gain first-hand knowledge of how these businesses operate and the products and services they provide. Members will receive a weekly e-newsletter which will keep them up-to-date on upcoming activities and events, including those being held by other nearby Chambers and business associations. Future plans will be to provide business workshops, mastermind groups, community expos, and other activities requested by its members. Additional information about the Warren Business Association, including a link to RSVP for upcoming meeting, can be obtained by visiting www.wbaconnects.com or by connecting on Facebook or Twitter (@wbaconnects).